Charolette, N.C. -- Two pit bulls that were roaming through a southeast Charlotte neighborhood viciously killed a poodle in a man's backyard Friday afternoon. Molly, a poodle-mix, was chained up in a backyard and was mauled to death in the Grier Heights neighborhood. Molly's owner said his cousin shot and killed one of the pit bulls. Animal Control took the other one away. Paris Huntley Jr. said his small dog never had a chance. “All I seen was blood, I couldn’t look at it because I didn’t want that picture of her in my mind, for a long time or the rest of my life,” he said. Another Pit shot for cause. Another chained dog that meets with a terrible end. How sad. Unclear whether this poodle mix was chained 24/7, as so many dogs are, but check out http://www.dogsdeservebetter.org to learn about the tens of thousands of other dogs currently suffering on the end of chains in back yards, junk yards and vacant lots all over the country. http://www.dogsdeservebetter.org does great work. tammy grimes is a hero. This was a terrible way to go for the staked out Poodle. I’m not sure that eliminating chaining for Pit Bulls in lieu of better continment system isn’t openin fireon thepublic. A normal fence won’t cut it. Some people buy pit bull terriers as the canine equivalent of a Hummer: an overpowered, macho status symbol, able to crush anything in its path. Others in the grip of “pit bull fever” fall in love with the dogs’ loyalty, affection and athletic grace. For whatever reason, Waco’s pit bull population is booming and becoming a public safety issue, police say. Pit bulls now account for about 80 percent of Waco animal control calls, as well as 16 of the city’s 28 dog bite cases in the first three months of this year. The pit bull boom is part of what’s driving the city Animal Advisory Board to recommend an ordinance to prohibit the prolonged chaining or tethering of dogs. Chained dogs in general tend to be more vicious and likely to attack people, animal control officers say. If that dog is a pit bull that hasn’t been well-socialized, the danger is especially great, they say. “The majority of the people who have (pit bulls) don’t have them fenced in,” said Waco animal control supervisor Bill Vieregge. “They put them on the end of a logging chain, with little or no human contact. The rising popularity of pit bulls has ignited a national debate, with passionate partisans on each side. Some say the breed is inherently dangerous, and some cities, including Denver, Colo., have banned the dogs altogether. Texas law doesn’t allow “breed-specific legislation,” but that doesn’t mean pit bulls get the same treatment as other breeds. In Waco, Fuzzy Friends Animal Rescue won’t take pits, and the Waco Humane Society’s animal shelter won’t adopt them out. The shelter received 1,208 pit bulls last year — about 10 percent of the dog total — and released 134 to the owners. The rest were euthanized. Attacks by pit bulls and pit bull mixes have been in the news lately, including the fatal mauling in November of a 76-year-old Milam County woman by six dogs, described as a mix of pit bull and Rottweiler. In February, a Bell’s Hill Elementary fourth-grader was taken to the hospital after an attack by dogs described as pit bull mixes. And a North Waco man was recently convicted on Class A misdemeanor assault charges after his pit bull mix bit a 9-year-old neighbor on the arm, leg and ribs in May 1995. Pit bull advocacy groups say the breed is unfairly maligned, and the problem is one of nurture, not nature. 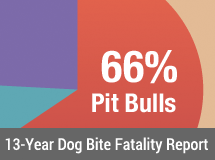 They note that pit bulls were bred over the centuries to fight other dogs, but those that attacked people were immediately killed under dogfighting rules. The result, they say, is a dog breed that generally is aggressive toward other dogs but friendly to people, to the point that a well-socialized pit bull is often ineffective as a guard dog. Carrie Kuehl, executive director of the Waco Animal Birth Control Clinic, said pit bulls show a wide variation in temperament. Some pit bulls that come into her clinic have to be muzzled, but others are harmless. She said pit bulls that are aggressive to people reflect the owner more than the breed. But that’s too often the case, said Waco Assistant Police Chief Clare Crook, who oversees animal control. She attributes the rise of pit bulls partly to hip-hop subculture and rap videos that show mean-looking pit bulls as macho accessories. “It’s a status thing, like bling,” she said. Owners with such a mindset tend to neglect their pit bulls and leave them on short chains without adequate shade or shelter. Animal shelter officials have documented cases of severe festering wounds on the necks of chained dogs, often because the owner failed to adjust the collar as the dog grew. 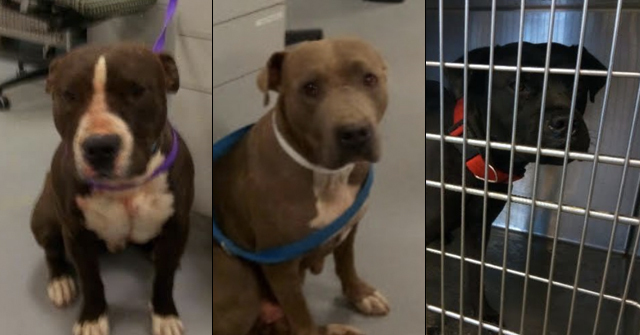 One pit bull in quarantine at the shelter this week showed such neck scars, while another had scars all over its face, a possible sign of dog fighting, shelter workers said. Animal advocates say an ordinance against tethering dogs for more than two hours would be a good start in fighting inhumane treatment. But some aren’t so sure an ordinance against chaining would safeguard Waco’s streets from vicious dogs. In a recent city council discussion with the Animal Advisory Board about tethering dogs, Councilwoman Alice Rodriguez voiced concerns that dangerous dogs might be more likely to escape from a pen than a chain. Harper, the former pit bull breeder, agreed, saying pit bulls in particular are great escape artists that can get over, under or through fences. Anything less than a concrete floor or a reinforced pen with a cover may not hold a pit bull, she said. Crook, the assistant police chief, said that, under the city’s proposed dog-tethering ordinance, dog owners who can prove their animals need to be chained can claim that as a defense, as long as they also have a fence at least four feet high. She said loose dogs will continue to be impounded and their owners cited. Harper said she has stopped raising pit bulls in the last few years because customers were not giving them the care and attention the dogs need. “I raised them for 14 years, but moving to Waco has made me not want to raise pit bulls,” she said, adding that she has switched to raising Olde English bulldogges. 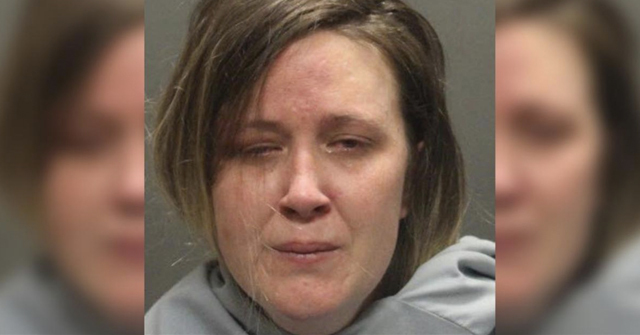 She said the last straw was when she sold a blue-eyed, white pit bull puppy to a man she thought would take good care of him. Instead, she discovered the dog had become a “reigning champion” in dogfights around Marlin, she says. Harper said she finally persuaded the owner to sell back the pit bull, but she found that it had become too aggressive. 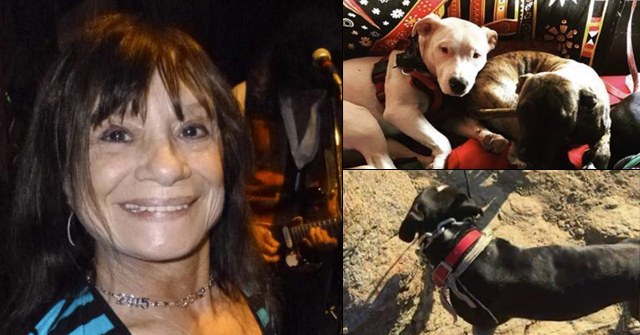 One day the dog escaped and nearly killed one of her other dogs, and she decided to euthanize the pit bull, she said. The experience cured her of pit bull fever.